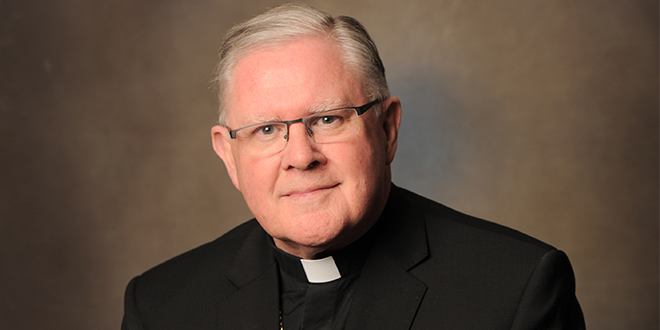 Archbishop Mark Coleridge: “Abortion is not a simple or straightforward issue, it is a whole cluster of issues – intensely complex – but it is important to cut through some of the tricky language. BRISBANE Archbishop Mark Coleridge has used a webcast discussion on abortion to call on Queensland MPs to vote against proposed laws to legalise abortion. Archbishop Coleridge said he didn’t seek to wage “ideological warfare”, but to insist on the basic truth that the lives of both mother and baby mattered. “We are talking about two lives, and both lives matter,” he said, before answering questions submitted via social media. Debate on a bill to legalise abortion is expected inside Queensland’s 93-seat Parliament next week. If passed, new laws would allow women to terminate pregnancies up to 22 weeks, and until birth with the permission of two doctors. Archbishop Coleridge described the prospect of legalised abortion as “troubling” and not representative of the core values and beliefs of the greater community in Queensland. “Parliamentarians don’t vote in a vacuum, and that’s why this kind of dialogue is very important,” he said. “There are fewer than 160 words in the bill that cover abortion beyond 22 weeks, now this is one of the major questions about this bill – late-term abortion – how can it be that a full term baby can be aborted for reasons that take less than 160 words to outline? “… A doctor can abort a late-term child for reasons, which the legislation calls social and psychological – now it’s hard to know what those kinds of words mean. Archbishop Coleridge said he had been heartened by the volume of online feedback, and the tens of thousands of Queenslanders who signed a petition expressing the view that abortion did not reflect the “principles and values of the society they know or want to create”. “Abortion is not a simple or straightforward issue, it is a whole cluster of issues – intensely complex – but it is important to cut through some of the tricky language,” he said. “I’m all for a genuine right to choose, but when we talk about this as pro-choice legislation … really it’s pro-abortion legislation. “Pope Francis has spoken about a throwaway culture, and he’s dead right about that. Visit the Archdiocese of Brisbane website https://community.actonit.com.au/aob/ to read online questions, share a story or send your Qld MP a message.